Bananas are among the healthiest fruits on the planet, being a good source of both vitamins and minerals, as well as fiber. However, we believe you are not fully aware of the differences in bananas due to their ripeness, so we decided to reveal all the pros and cons of eating ripe and green bananas. Apparently, the more dark spots a banana has, the more anti-cancerous properties it offers. This is a result of the increased levels of TNF. 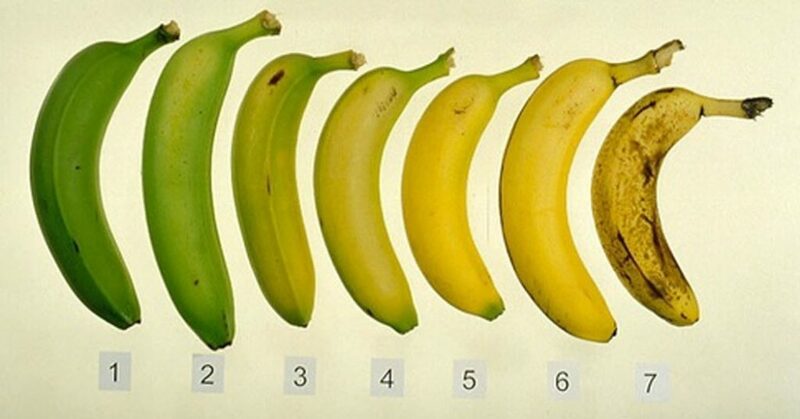 Moreover, as they ripen, the concentrations of minerals, vitamins, and antioxidants in the bananas increase. Japanese researchers have proven that fully ripened bananas are the highest in potassium, fiber, antioxidants, and vitamins like B and C. Ripe bananas help the digestive system, and treat digestive issues, like constipation. However, the consumption of green bananas is sometimes beneficial as well. Unripe bananas are lower in sugar than the ripe ones, so they are better in the case of type 2 diabetes, and are higher in probiotic bacteria that help the function of the colon. Additionally, green bananas are rich in starch, so they keep you full for long and thus help the weight loss process. Yet, these bananas are more difficult to digest and might lead to bloating. So, it turns out, you can make no mistake in eating a banana after all, regardless if it is unripe or full of black spots!